Amidst the ongoing row in Karnataka and allegations of BJP trying to poach JDS-Congress MLAs to join their fold, JDS MLA KM Shivalinge Gowda said that BJP allegedly offered Rs 60 crore and a minister post to a "JDS person" who reportedly turned down the offer. While addressing a press-conference in Hassan on Tuesday, Gowda said: "One person from JDS has been offered Rs 60 crore and a minister post by former Chief Minister and BJP leader Jagadish Shettar. He refused the offer and informed Karnataka Chief Minister HD Kumaraswamy". 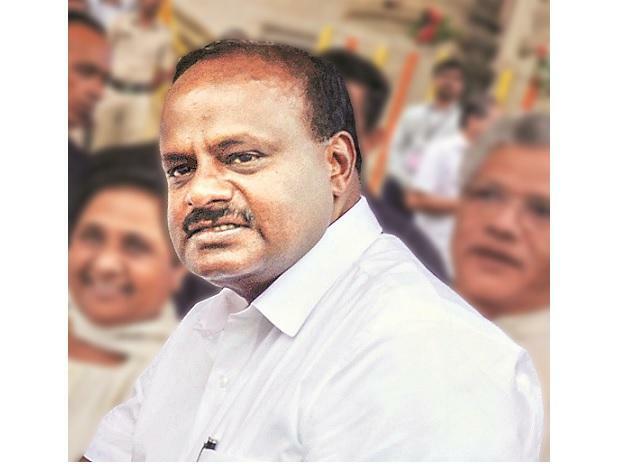 On the other hand as the allegations and counter-allegations of poaching have cast their shadow on the state government led by Chief Minister HD Kumaraswamy, the Congress has called a meeting of its legislators here on January 18 to take stock of the prevailing political situation. The decision to hold the meeting of Congress Legislature Party (CLP) was taken after the party leaders alleged that three of their MLAs were taken to Mumbai by the BJP in an attempt to lure them to their fold. While Karnataka Chief Minister HD Kumaraswamyon said the Congress MLAs who are in Mumbai are constantly in touch with him and assured that the three legislators will come back.